Oh how I wanted to love Worm by Tim Curran. Unfortunately, I only ended up just liking it. Worm had a great premise but its execution just sort of fell flat. While the killer worms were certainly cool they didn't really do much to excite me. Worm felt very been there, done that. One of my biggest complaints with Worm were the characters. I just don't understand why the residents would stick around while the sludge started to rise. Then of course when they couldn't leave and the worms started appearing why didn't anyone climb up to their attics or roofs. It just didn't make any sense. They could all see the sludge coming through the pipes so why not stay as far away from them as possible? Then of course the worms finally appear and everyone still stays indoors just waiting to basically die. It was frustrating. Which of course brings me to my second complaint. The deaths in Worm were boring. In fact, they all basically felt the same. Except the old woman and the dog those stood out to me. So many potential ways to kill off characters and yet when it came down to it the Author chose to limit the gore and instead focus on the characters inner monologue as they died. Which would of been fine had it been interesting to read about. 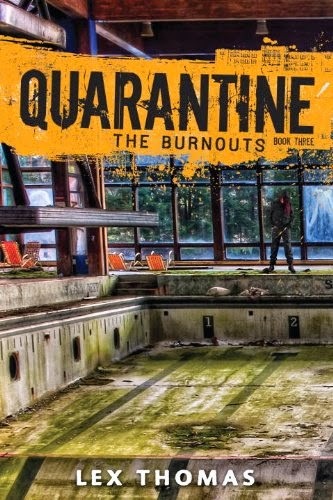 Lastly and I wasn't going to bring this up since it is a Novella but, I really hated how much time was spent on character development instead of focusing on the worms/ the world outside of Pine Street. It's implied the powers that be are aware of the sludge and maybe even the worms themselves but they play no real role in the plot. It would of been great had the Author had a montage of shots from newscrews and rescuers at the end interviewing survivors and then somehow it turning into them saying it was a hoax. Last shot of the book should of been a baby worm alive underground just waiting for another opportunity to kill and destroy. Instead however the Author totally drops the ball right at the end. I won't go into details since it will give to much away but it felt very anti-climactic and unsatisfying. Maybe the ending should be my biggest complaint instead, hmm. Overall, while I liked worm it failed to impress on many levels. Had the author chosen to make it a touch longer and added in a bit more ending it might've taken the book from good to great. If you're a fan of Killer worms then pick this up and give it a go. It's a quick fun read and I think most fans will be happy with it. 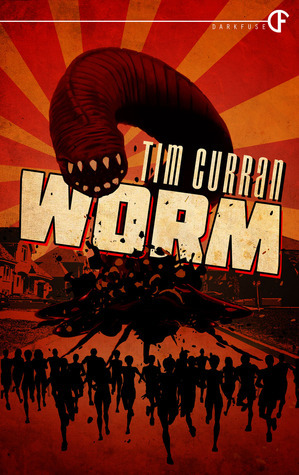 That being said, I will be rating Worm by Tim Curran ★★★.